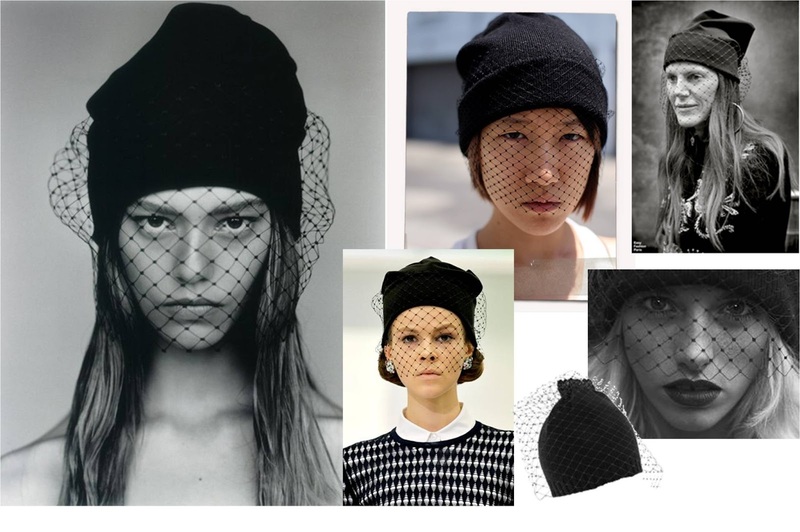 Ever I since I saw Bryan Boy wear the veil beanie on ANTM I have been obsessed! 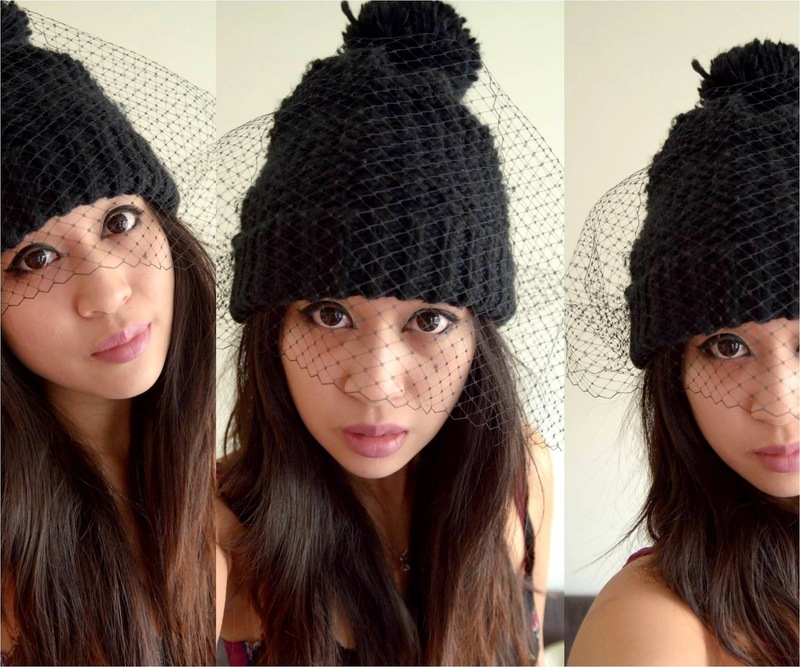 It's a mega celeb/blogger favourite and being a mental band wagon jumper albeit rather tardy - here's how I updated my bobble hat. 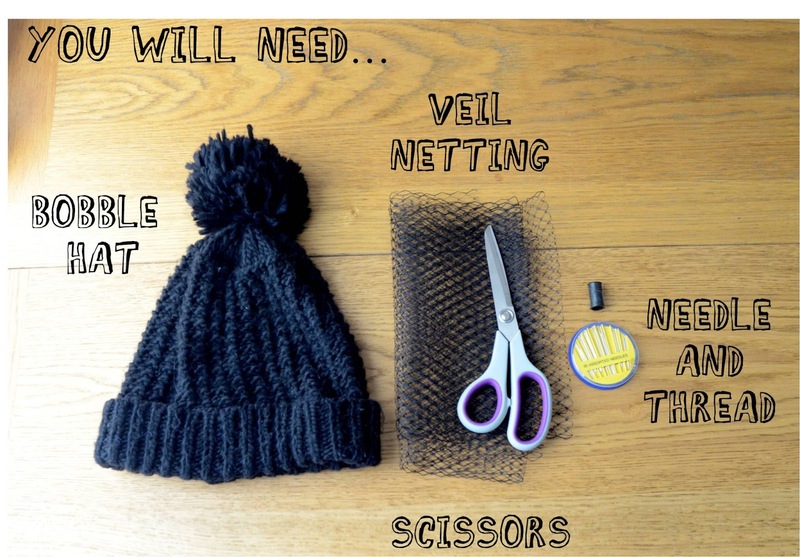 All you need to do is cut about 50-70cm of veiling (depending on how big your head is...) and sew into place. This is literally the simplest 10 second bit of customizing I've ever done and it's completely updated my hat. 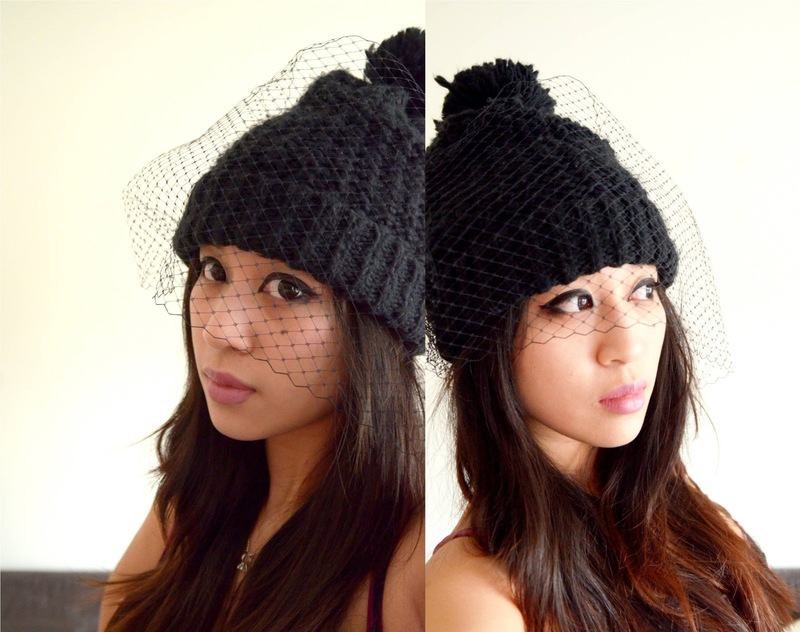 I got the veil netting from eBay - here's the link. P.S. Those are not my real eyes.